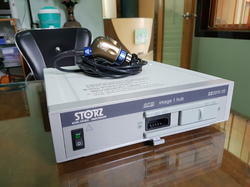 We are a leading Manufacturer of sopro comeg digital laparoscopy camera, medicam camera, stryker camera, full hd digital laparoscope and storz camera from Thane, India. With the aid of our technologically advanced manufacturing unit, we are able to provide our clients a wide array of Sopro Comeg Digital Laparoscopy Camera. Our offered camera is designed using high grade material and leading technology in sync with the standards of market. We also provide this camera in numerous specifications as per the needs of our customers. As well, this camera has anti moire electronic filter for gastroscopy/urology. Electronic Shutter (1/50 to 1/100000)/ 3 window sizes. Owing to our enormous industry experience, we have been able to successfully cater to the varied needs of our clients by offering Camera Medicam. This camera medicam is design with top grade material and advanced technology by competent workforce in accordance with certified industrial norms. The camera medicam offered by us is available on diverse specifications as per the needs of customers. 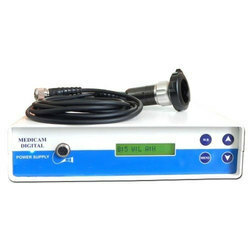 Offered camera medicam is the innovative digital camera dedicated to the video endoscopy. 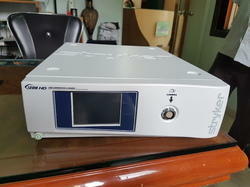 We are leading organization actively engaged in offering a wide assortment of SOPRO-COMEG Full HD Digital Laparoscope. Our products are designed by our professionals using advance technology & best quality material as per the norms of market. These products are checked on quality provisions to deliver the flawless supplies at customer’s end. The offered products have wide angle for superb resolution, crisp and clear pictures. 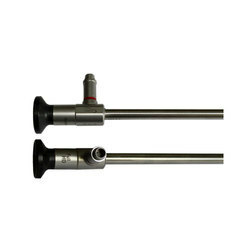 Available 10mm/5mm, 0 degree, 30 degree. 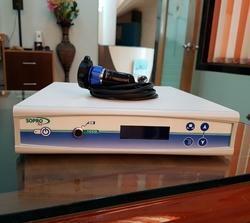 Looking for Camera Laparoscopy ?